Almabase is the only engagement solution you'll need to grow alumni participation in donations, events and volunteering programs. You get updated contact information from Facebook and LinkedIn, and it works with your database. You can also manage your events, email marketing, online alumni directory, alumni map, and mentoring program. 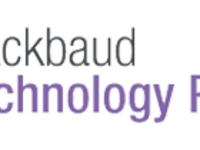 Almabase is used by over 250 small advancement shops and is a BLACKBAUD TECHNOLOGY PARTNER. Pros: - The platform was up and running quickly. - The customer service team is extremely responsive and does their best to accommodate our needs. They are also very open to receiving feedback and considering suggestions to improve the software. - They often roll out new features and upgrades. - It's quick and easy to create new webpages and add content. - The software is affordable. - Integration of e-communication center to send automated emails. Cons: - Some bugs were discovered in the early stages that the support team resolved promptly. - Limited templates to choose from and cannot incorporate different features from different templates into one to suit your needs/preferences. - I've been slightly disappointed by the lack of customization on the platform. It's become evident that the platform would be a great tool for an academic institution's alumni organization, but if it's anything else, it may not be the best suited. Our situation is unique in that we are not a school looking to connect with our alumni, but rather a foundation connecting with past and current grantees. Some features cannot be customized to reflect that, including the wording on some pages or email templates that one would think would be easy to change. I was reassured at the beginning through the answers to my questions and testing out another organization's beta site that our needs would be met. However, it was only after our site was fully up and running that I got a chance to fully explore and see where additional customizations would be required. Overall, the web platform meets our basic needs, but if there was a greater ability to customize it, even a little bit, it would take it to the next level. If you're not coming from an academic institution, I would highly recommend asking a wide variety of questions to ensure it will meet all your needs. Pros: With Almabase everything is at one central location which is a huge time saver for us. No more multiple disconnected software and inefficiencies. It also seamlessly integrated with Raiser's Edge. The response from alumni has been amazing since the launch - they love the social media integration! Our board members, faculty and staff love the platform because its very easy to use. Almabase also provides the possibility to involve our students for an alumni mentorship program that has been heavily requested by our alumni. The best part though, is that their customer service is exceptional and unparalleled! It is truly a pleasure to be able to work with such an amazing team of professionals. I know that it is extremely rare to find a software that is pretty much perfect, but we really have not found anything about the software or the customer service that we do not like. The handful of items that we could not do, or did not work quite the way that our team would have liked were solved by the Almabase team, usually within a few days of mentioning it to them. We have no reason to rate them any lower than 5-star across the board. I would recommend Almabase to any organization that is looking for this type of alumni platform. Overall: Almabase allows us to connect with our alumni on multiple levels based on interest, class years, university affinities, and social media interaction. It also allows us to communicate intentionally and deliberately with our alumni through targeted emails and our e-newsletter. It saves our team time by streamlining the way that we post to our social media platforms and data-mine the site. This platform also allows for us to include pages for our chapters that have controlled access for the chapter administrators. We can also set-up event registrations, pay portals and interest forms and have the data collected to be imported into Raiser's Edge whenever we want to do that. Almabase directly impacts and helps to facilitate the majority of our office's mission and goals. Pros: I love the flexibility that they have offered us. We have been using the software for two years and have seen the software grow at a rapid pace to match our needs. They created a skeleton for us and helped us to flesh it out into a working, attractive, and useful site. Our alumni have given such positive feedback--it's better than anything we've had before (and we're 125 years old). The Almabase team is truly interested in what the customer has to say. They are passionate about their work and you, as the customer, can sense it in every interaction with them. Cons: If there was one thing I could change, I would want more page editing space. The box where you create the page is small and you have to scroll to the top to use the editing tools. I've accidentally moved by cursor more than once while scrolling and had to fix a mistake, then do what I was trying to do. That being said, I have VERY LITTLE experience building website pages or using html and they make it so easy to make great looking pages. 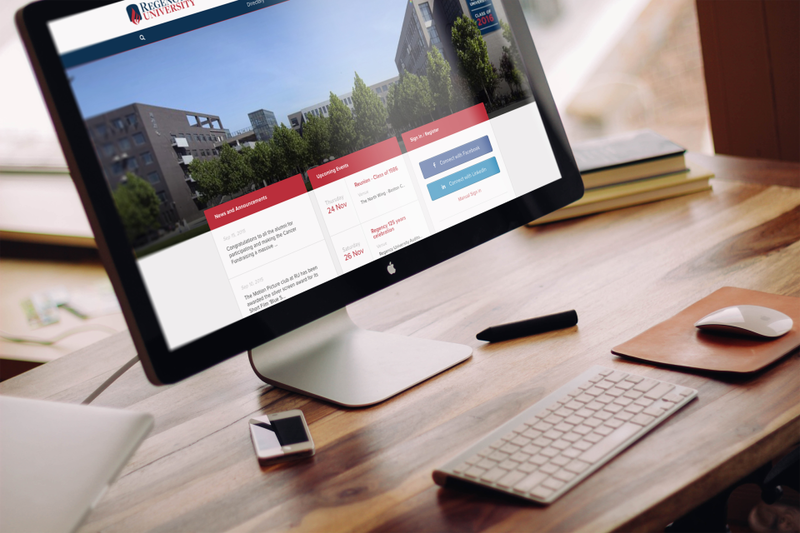 Overall: Not only are we housing all our alumni website here, but we've increased our alumni engagement and awareness because they make it easy for alumni to connect. We found a platform that worked for our constituents, not one that made them work. Pros: When I became the alumni relations coordinator for Thomas Aquinas College, I immediately began searching for a replacement for a print alumni directory. This platform exceeded expectations in that it provides the directory service that I was looking for AND provides a full service engagement platform for all facets of alumni relations. From emails to events to chapters and more! Most of all though, the team at Almabase is 110% top notch. They are personable, responsive, and complete. Whether I have a question on hot to best use some functionality or have a suggestion from my users regarding improvements on the platform, the Almabase team is always helpful, thoughtful, and responsive. This customer support you enjoy speaking with! Cons: There is little not to like. For myself, wearing multiple hats at our institution makes it difficult to use the product to its full potential. Also, our users are interested in sharing their directory information with each other, which is not a default setting. However, support has been very responsive regarding this feedback and we are working towards a solution. In all, I am very happy with the product and so are my users. Once our organization decided to partner with Almabase, we were transitioned to an operations team to ensure that our alumni data and site features were in order and functioned as we desired. The operations team adjusted to our needs and became much more attentive as our needs required. Currently, it seems like our admin team has continuous access to the Almabase support team. They are friendly, professional, and always strive to communicate clearly, even with feature requests that are not part of the platform. One benefit that showed how willing our Almabase support team goes above and beyond as a partner is how they initiated a regular quarterly review of the platform and features after we launched. They demonstrated how ongoing support is part of the fabric of their company. The main reason behind choosing Almabase as an alumni relations partner was how they come alongside our efforts to keep our alumni information current. Our alumni benefit because they can easily stay updated on what's happening with their alma mater and effortlessly network with one another. Our current students benefit because they can begin networking for future placement opportunities. Our staff benefit because this active directory, updated by each alumnus, enhances all our communications about news, events, placement efforts, and services. Comments: IMPRESSED is the word. I have started using this product since my under grad school introduced this to us one year after we graduated. Though I was apprehensive initially about it being just another variant of linkedin, I was proved wrong pretty soon. The sign up was pretty simple with the option of connecting with Fb or LinkedIn. Also, the profile was always synced and up to date. This is a simple, no-nonsense, to-the-point software which does what it says - "Alumni Management". There are no other strings attached. With the graph search(remember the facebook searches which go like "Who are my friends studying in California and are single?") and the various filtering criteria available, looking up for someone from my college is just a breeze. Also, masking of personal email ids put my fears of spamming to rest. The newsletter I receive from my college admins every month through this portal, brings a wide smile across my face along with a flurry of memories. Well, the depth to which this software goes in finding the alumni is also pretty excellent. I was amazed to find alumni from even the early 1960s. Also, at my post grad, I got an opportunity to be part of the audience where AlmaBase was pitching. Boy was I surprised !! They implemented Machine Learning which took some seed data of alumni and used that to pull the details of other Alumni from Social Network spaces. Also, the ease with which the alumni site can be customized is very good. Supported by a strong back end, the majority of look and feel is made up of pluggable components. It's totally up to you to decide how your alumni site would look like. In short, having a strong alumni base is a low hanging fruit ignored by most colleges and this software solves the problem spot on. I do not see any major shortcomings, except that I wonder how'd they support the product with the size of the team they presently have. Extremely positive - incredibly helpful service and a very intuitive service to use. Pros: The software is incredibly easy to use and offers a wide range of options and features. It makes maintaining relationships with our userbase incredibly simple and is a marked step up from the previous system we were using. It is very intuitive to search and manipulate data, and it interacts with social media as well as email addresses to capture the widest range of data. The site itself has a very clean and modern looking front end, and is very customisable to suit our growing and changing needs. The team at Almabase were extremely helpful, and always available for calls and support. There was a clear path and development strategy provided from the team and they explored all the features we wanted to use so that the software was tailored exactly to our needs. The software is a delight to use, with new updates and features regularly added and is incredibly cost-efficient. It also interacts with most commercially used CRMs should you require a more heavy duty database. I would recommend anyone in this field explores it as a front end to enhance their relationships with users. Cons: There aren't any - it's that good! If you have any reservations about using the software, contact them for a chat. Overall: Allows us to communicate and interact with a wide user-base in a way that we couldn't previously. Best value for money alumni platform out there! Pros: -It is a website, database platform, and bulk email service. -Payments can be taken through the website, including membership payments. -The developers are constantly making improvements to the software and any improvements are made available at no extra cost. -The customer service is very responsive. Cons: -Administrator/backend usability could be improved. This is something we have mentioned to them and they are working on. -Website pages could do with a little more layout varieties and features. I believe they are working on this also. Overall: This software help us consolidate our database, emailing and website saving us a lot of money. Tracking emails and engagement has been very helpful. Cons: - Some bugs with the software when doing more advanced features. However, they fixed them very quickly. Overall: Overall, Almabase has been a great partner as we begin our endeavor in Alumni Relations. Because of Almabase we have been very successful in our first 8 months. They are constantly giving us strategies to improve and offering assistance. We just had an in-person visit from them that will help us immensely as we enter the second phase of our program. I truly feel they have a personal interest in your success. 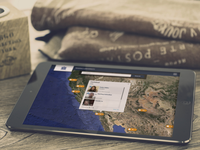 Pros: Feel great that we now have the capability to offer a platform for alumni networking. Alumni are able to stay connected after graduation and help other members in the community by sharing wide range of opportunities (career/internship...). This has been the one of the best investment to keep our alumni and students connected. Cons: There are no cons in particular. Their support is also good and timely. Hopefully they keep continuing the excellent service. Pros: We are very pleased with our new alumni network through Almabase. What I like most is that the platform has everything we need in one place, including the ability to manage our alumni database, send out targeted emails and monthly newsletters, incorporate social media feeds, help fundraise (recently had a 24-hr giving day where we raised over $150,000), plan and promote alumni reunions and events, post school and alumni news stories, allow alums to network for jobs, business opportunities and internships, and much more. We've only just begun and are so excited with this new platform! Cons: I would like to be able to better control colors and styles throughout the site so that we can be consistent and maintain our brand standards and guidelines. That said, Almabase is working with us to ensure we are satisfied. Overall: My overall experience with Almabase has been excellent. They truly want us to be satisfied with their product and are open to suggestions and ideas that we may offer to add or improve something. I would have no hesitation in recommending them. Pros: I love that this software is able to integrate with LinkedIn and Facebook to automatically capture alumni updates. Also that mailing lists are dynamic and change accordingly when an update is made to the profiles. 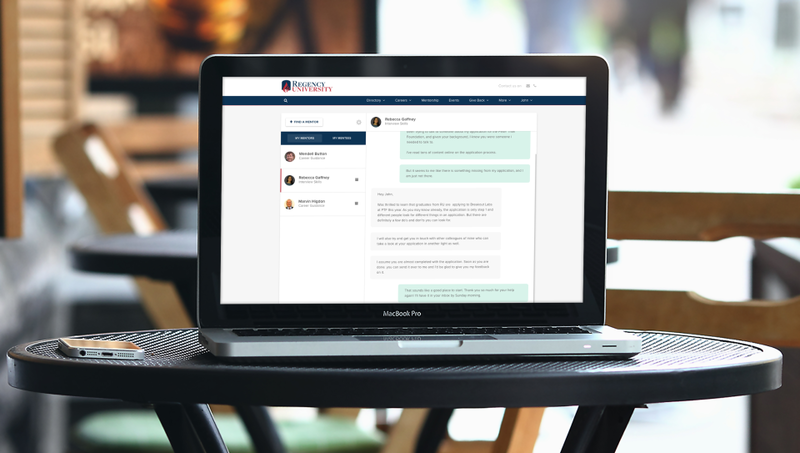 It automates so many things and that takes the hassle out of the administration of the alumni office so that we can focus on actually engaging with alumni. The event management module is especially helpful in managing RSVPs. The support team has also been very gracious and patient with a non-technical person such as myself and taken the trouble to explain each function thoroughly. They are always ready to help. Cons: For a more technically proficient user, it may be good if more of the customization such as changing fields and even uploading new batches of alumni data could be left to the institution themselves to handle. But for those who may not be technical, the fact that the support team handles this can be a great relief, as it is to me. Pros: Customer service, ease of use. Cons: The price, though reasonable, may be a stumbling block to smaller organizations, like ours. We are hoping the success of the product will help support our funding request. Overall: Our team evaluated several networking platforms before trying Almabase. Since our initial inquiry with Almabase about their product, we have been nothing but pleased. The customer service has been outstanding throughout all stages of our project, from helping us understand the platform, it's functions and benefits, setting up a pilot site for us to actually use and test the model, and throughout the implementation process. All was done extremely efficiently, and ahead of our projected time frame. All of our questions have been answered clearly and quickly. The changes we've requested to our site to personalize it to our needs (we are a high school--not a college) have also been addressed in the same manner. Since we are still learning about and understanding the product ourselves, we regularly reach out to our Almabase support contact who never fails to help immediately. We are thrilled with our decision to use Almabase! Their customer service is top-notch & they've taken our feedback & applied it immediately. Pros: Whenever we had questions about the platform or how to use a certain function, the onboarding team was available through conference calls or timely emails to answer all of our questions and help clarify. They were also great in providing a marketing and communications strategy when we were planning to roll the platform out to our alumni. They took the time to learn our culture and built a plan around that culture to be most effective. The site setup process was quick and easy once we provided the necessary information. We had a presentable version in days and I can't say enough good things about their responsiveness to our questions and needs throughout the entire process. Overall, working with Almabase and their team has been an absolute pleasure. Cons: So far, we do not have anything negative to say about the platform or Almabase in general. Pros: The ability to communicate and filter specific groups or people is literally as easy as a few clicks of a button. The amount of time we are saving by using Almabase to reach out to our alumni is immeasurable. We are still new to Almabase and are learning new things all of the time. As we learn more, we are more impressed and excited about our decision to use Almabase. Cons: This software does not "talk to" Senior Systems, so it does make it difficult when information is updated on one platform. However, Almabase made a point to visit our school to see how we use Senior Systems and is going to try to find a way to communicate with it. They may not succeed, but they care enough to try. Overall: Like I said above, we are saving a lot of time filtering out groups and specific people for mailings and emails. The communication has improved greatly and we are excited to bring more alumni to the platform so that they can start benefiting from Almabase. Almabase provides an amazing product that has helped our school increase our alumni engagement. Pros: Almabase has a plethora of features that help our school interact with our alumni in different and meaningful ways. We are able to host events, share news, and fund raise all in one location. Almabase is a true investment in our alumni and they really appreciate the efforts we are making beyond the years they spend on our campus. Cons: A challenge for us is getting alumni to join the platform. We are constantly looking for ways to get alumni to visit the site and see what benefits they can receive. 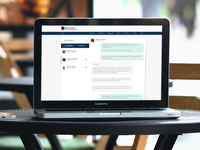 Pros: Almabase has an outstanding communication center and data studio that allows the right people to see and get the information they need to communicate with alumni. Cons: The website is not as flexible as it could be and we wish it had a few more options to show pictures. Overall: Our goal was to communicate with our alumni in new and more efficient ways, and we wanted to be able to see and track engagement. Almabase has made that possible and their team has answered every question we had in a timely manner. The people at Almabase have been very supportive and helpful. It's been an excellent tool for day to day to Alumni management services. 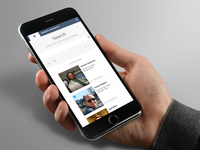 Pros: It's very user friendly and helps keep up to date Alumni contacts, who are notified of the latest events and updates on Campus and help interact with other alumni and students. Cons: They have been very quick to answer any queries. Their customer support is excellent! No cons that I can think of. I have been using it every day and its very rare we come across a glitch which anyways is taken care of immediately. Working with Almabase has been great! We've connected with alumni from all across the country! Pros: Almabase software is extremely user friendly and very nicely organized. The platform allows us to connect with Alumni through emails and keep them up to date on current events and activities happening on campus! With the help of Almabase we were able to sell and distribute tickets for our 40th Anniversary Gala which was amazing! There was such a great turn out. Technical support for this software has been exceptional. If we were had any questions or concerns we would received immediate support from Naveen, one of the Almabase representatives. He would explain everything very clearly, and made us aware of new features of the platform. Overall, customer service is truly amazing! Thanks for your feedback, Michelle. Pros: Almabase is user-friendly, easy to learn, and the customer success team is always quick to help us with troubleshooting or even adapting the platform based on our needs. Cons: There are few parts of the event module that work fine but could be more convenient, but Almabase is already working on adjusting these. Honestly, any issue we have is quickly looked at and updated, and we so appreciate their willingness to adjust their platform when necessary! Overall: We use Almabase as our primary means to communicate with our alumni. We also pitch it to our alumni as a way for them to find one another and engage on their own. Every week through Almabase we send 1-4 emails to various alumni and have at least one event registration active. These areas are the ones we use the most, and Almabase has been great. Easy to learn platform with excellent customer service. Pros: It's extremely helpful that this software links up to alumni social media accounts, providing you with the most up-to-date job information, headshots, and email addresses. 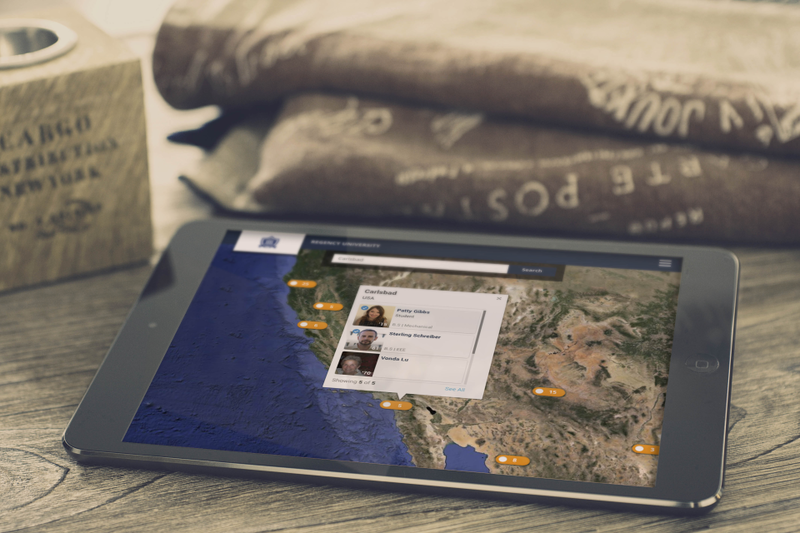 It also allows you to track their engagement through eblasts, events, and social media. The map feature is extremely help for the Admissions Dept., Development Dept., current students, and alumni. Overall: Much more user friendly experience then previous software. 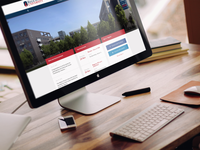 Easier to stay up-to-date on alumni information and to communicate with alumni. Also easier for alumni to communicate with Webb and with each other. Thanks a lot for your feedback. It is a pleasure working with you and looking forward to a long partnership. This is a great company with an amazing product. Pros: The team that we get to work with. They are amazing. I have really enjoyed my experience with Almabase and would recommend them to anyone. Cons: There are no negatives about this company. They work with us to achieve anything that we are looking to do through the platform. Pros: Ease of use, constant development, modern interfcae. Cons: Adapting languages (mulit-language support) of the webseite could be improved. There are still texts in English which can not be changed by the Admin of the Website. Overall: Very good, very responsive, always here to help. Pros: The price of Almabase is very fair for the functionality you receive in return for your alumni platform. It has some great syncing options. For us, it syncs with Raiser's Edge, which is an extreme benefit. We can pull/push data to/from our constituent database and alumni network. Cons: I felt that the implementation process and training could use a little work. I felt unprepared and not trained enough (as a user and admin) to handle the software. Overall: Overall, satisfied with the quality of Almabase for the price. Its functional and economical. Advertising the job postings to the right audience. Finding aptly qualified alumni in your surroundings, far away from ones own place of origin, who can empathise with your background, to seek advice on a range of things. These are only initial examples-with limitless creative ways yet to be envisioned and exploited. Apart from the concept, almabase excels technically, in providing an effortless, user friendly interface with minimal intervention on the part of user. Its artificial intelligence based algorithms ensure that publicly available information is automatically updated making it very reliable. Almabase has been an incredible asset to our alumni mission and vision. Pros: Almabase's team and their support is always quick, efficient, and the features that the team rolls out continue to improve both the user and admin experience. They are dedicated to the customer and their product to provide the best possible experience and continuously improve. Cons: Some bugs were found by our team that probably should have been resolved in the site-build, but the support team was quick and ready to resolve them after the discovery of said issues. Overall: A connected and engaged alumni database! Pros: It's easy to use, intuitive and looks great. It's packed with really great features that you didn't even know you needed - the team are great at taking feedback from current clients and developing new features ahead of the curve. Cons: Not much! Everything is easy to navigate and there are great help guides when you get stuck. There was also a useful onboarding checklist to help us get started. Overall: Much improved alumni engagement, donations, online event bookings and a great platform to showcase our amazing people. The customer service team is #1 in my book. Pros: The software is easy to use and makes our jobs so much easier. Our alumni love connecting with each other without sharing personal information, which was impossible to do before. Cons: Any challenge we have encountered, their team has resolved quickly. We did have to change our payment platform to PayPal (other options were also available), but this ended up being best for the user in the end and we're so glad we did. Thanks a lot, Sarah. We are proud to be a partner of ULM Alumni Association. Pros: It is easy to use and install. Our initial launch for this platform was just two weeks ago and we have had a tremendous response. We are very pleased. Cons: I would have liked it if alums could post their own news and events so that the information would be self-populating in real time. Overall: For those who have been here longer than I, their overall response was "this was a long time coming and needed." A game changer for small shops. Pros: The best thing about Almabase is the relative ease to register. The connectivity with popular sites like LinkedIn and Facebook offers a familiarity to most of our alumni. Thrilled with how quickly we surpassed our initial goals for registered alumni!! Cons: Just wish Almabase could communicate with Senior Systems. Overall: Customer service is personal and thorough! Pros: We're extremely happy with Almabase. We have over 27,000 alumni in over hundred countries. The platform helps us easily connect with automation features and the ability to customize pages. Customer service was excellent from the sales call to when we launched the site. Almabase has been easy to use, we are still getting familiar with the use of various features. Pros: Allows you to connect with alumni on different platforms, based on class year, interest, university affiliation, and social media interactions. Cons: I am unsure of what the average price for something like this but i would change anything it would be the price. Comments: The reputation of any educational institute depends on how successful it's graduates are in the real world. Without proper infrastructure, it would be very easy to lose track of alumni after they embark on their careers, but doing so would be a huge mistake on any university's part. This is where Almabase perfectly fits in. They have an efficient cloud-based system which can quickly build the alumni information tree. The various tools it offers such as alumni map, placement tool, email groups etc. are classic examples of how important alumni information is to the institute. Comments: You would like to jump & Jive during college life with your friends .But , until you are into real corporate world you don't appreciate the value of networking. Being an alumnus of NIT Warangal and IIM Calcutta ,I am happy to say this product is one extra brick in the wall building alumni connect and grow your career. While you grow , you can also contribute to the growth of your own alumni and college by donations , guidance and placements. I wish Almabase great success in building alumni networks for colleges in India and abroad. Cons: -Nothing to report at this point. Rep and his team have done a great job getting us off the ground with Almabase. Comments: Most alumni lose touch with their institute after a few years due to lack of platform where all the updates about college can be viewed. Almabase solves the problem of alumni engagement very elegantly and is must have for every college which is serious about its alumni relations. Alumni like me can keep in touch with the happenings of college , interact with current students and alumni and also contribute back in many ways. Glad my college is leveraging the benefits of Almabase ! Comments: Almabase has been a great asset to the implementation of Union Academy's alumni association. The website has many great features that allow for easy and enjoyable networking and communication between alumni. The Almabase team is always eager and willing to accommodate and find the best fit for our needs. I have been extremely grateful for all of their help and support throughout the process, as it has improved our association greatly! Comments: Almabase provides a platform for the alumni of a college, spread across the world, to connect and interact in a seamless manner. The stand out features of Almabase are its alumni search and its job portal. 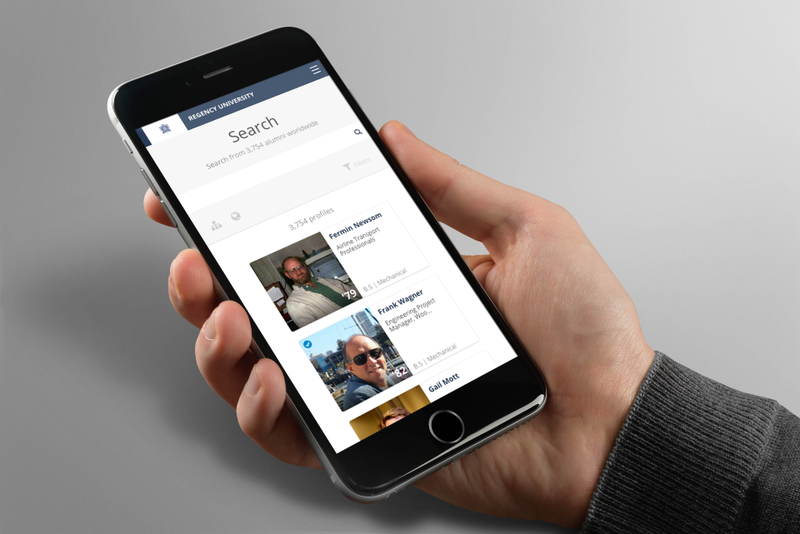 The dynamic search engine makes it very easy to find the relevant people even with minimal information. The job portal has a great potential to be a game changer. What separates this from rest of the market is the precision and customisation of the information. Great solution for alumni management. Comments: Really an innovative product. This product magically produced the database of our institute's alumni.This is a powerful tool for alumni management. This is not a con but a suggestion,develop an ERP type solution for an institute. Thanks a lot for the review Rakesh, we will surely consider your suggestion. Pros: The support staff was very helpful in the setup and in addressing any issues that we had. The overall building of the "base" was fairly easy. Cons: It didn't stand out enough as unique or needed to continue the yearly contract. We ended up using our new web platform to incorporate a signup form and keep alumni up to date. Overall: It was a useful tool in having all of your alumni information in one area and offered options that we ended up not using. Great Product - easy to use! Pros: The software is very user friendly both to setup as well as to use. It looks modern and up to date. Cons: I wish there was an easy way to customize more. The main page with the boxes would be better if it were customizable as well as be able to customize your own colors etc. Overall: I have been very pleased with Almabase so far - the company has worked hard to accommodate our needs and the setup was VERY easy. Pros: The ability to get all of our alumni in one database and easily reach out to them with new updates and opportunities is great! The platform looks professional and modern. Cons: Customization in some areas of the platform could be enhanced. Overall: Almabase has allowed us to easy stay in touch with and reach out to our alumni. The customer service from Almabase's end is very good. Comments: It has been a month since I started working with the Almabase team as the student coordinator of the Alumni Website of Calicut Medical college. The website is easily navigable and social media friendly. I would recommend this website for all alumni websites, particularly for engineering and medical colleges. Comments: Almabase has provided a very good launch pad to the Alumni Association, National Law Institute University, Bhopal. The portal built by Almabase shall defitely create an excellent Alumni Network and will provide excellent opportunity for Students, Faculty and Alumni to help each other out. Comments: A very good product. Very user friendly product and all features required for alumni management integrated very well. The team is very disciplined and service and customer centric. Pros: What I like most about this software is the continual improvements in helping users. Cons: I really don't dislike anything with this software. Pros: Great customer service and good price compared to competitors. Allows alumni to have a platform to connect and network-- as much or as little as they prefer. Cons: Most compatible with Raisers Edge, which we don't use- so it will require some manual data entry for administrators once we get updated alumni information from the platform. Pros: All the functionality for the price. It was looking merely for a mentoring platform but was delighted to find that Almabase was so much more. Cons: Since I also need to maintain an alumni site on the University pages, I forget sometimes about keeping both those pages and the Almabase pages updated.